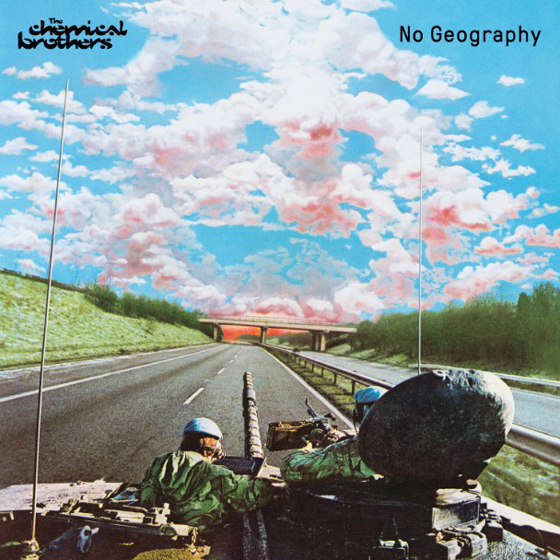 Since their seminal late '90s dominance, the Chemical Brothers have released respectable albums at a reasonable pace, arguably maintaining a higher profile than many of their big-beat peers. This was achieved primarily via their savvy recruitment of various star guest vocalists over the years, and much of the duo's more recent output was spent figuring out (with varying degrees of success), just how many of these features they needed to maintain relevancy without losing sight of their clubbier, more sample-driven roots. No Geography changes the formula somewhat, featuring only two relatively unknown vocalists (Aurora and Nene, hailing from Norway and Japan respectively), but spreading their contributions throughout the album. It certainly has a strong first half, opening with "Eve of Destruction" and "Bango," a pair of high-energy tracks that play to the Chems' strengths: infectious bass lines, creative sampling and hard-hitting beats that nonetheless retain a playful bounce. Things really start to shine after this however, when the title track kicks in for a sparkling disco love-letter that is frankly over far too soon — a brief, but glorious dose of uplifting sounds taken from the "Star Guitar"/"Sunshine Underground" mould. Other highlights include followup "Got to Keep On" (which prolongs the disco vibe with chiming bells and evocative samples), "Gravity Drops" (one of the duo's better contemplative, downtempo numbers in a while), and late-album banger "MAH," which, with its pulsing beat, amusing titular sample and wild, multi-layered synths throbbing into eternity, frankly rescues the second half of this good if not excellent album. Indeed, if less praise can be heaped on the latter half of No Geography, its contours will at least be sweetly familiar to longtime fans. "The Universe Sent Me" and closer "Catch Me I'm Falling" are the usual stabs at vocal-heavy slow-burners à la past work with Beth Orton, Hope Sandoval and Richard Ashcroft for instance, and while good enough, they add little to what has become a very well-worn template for the brothers at this point.